The world’s first motion picture was screened in Paris in 1895. The Jazz Singer, the first movie with sound, hit theater screens in 1927. Between those two years lies film’s silent era. 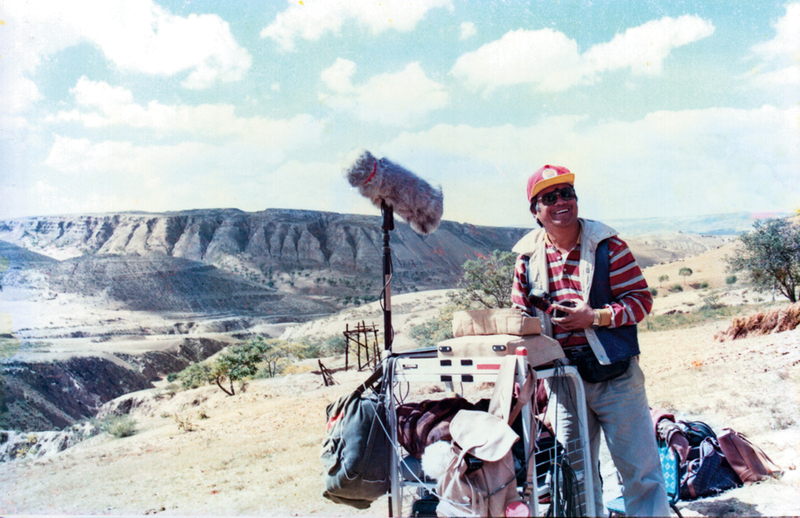 In 1975 Hu Ding-yi started working at the Central Motion Picture Corporation, where he worked on sound effects as a Foley artist for more than 100 films, devoting 40 years of his life to film production. In 2016, A Foley Artist, Taiwan’s first documentary about film sound effects, debuted at the Golden Horse Film Festival. 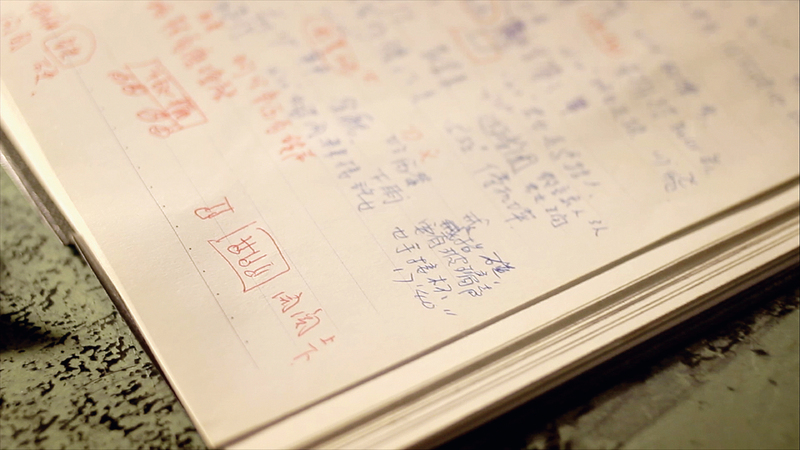 Director Wang Wan-jo chose to focus on Hu, a national treasure, exploring the three components of film sound—words, music and sound effects—as a way of documenting the history of film audio in Taiwan. Hu is the very picture of concentration as he follows the movements of a film’s characters while making realistic, perfectly timed sounds. 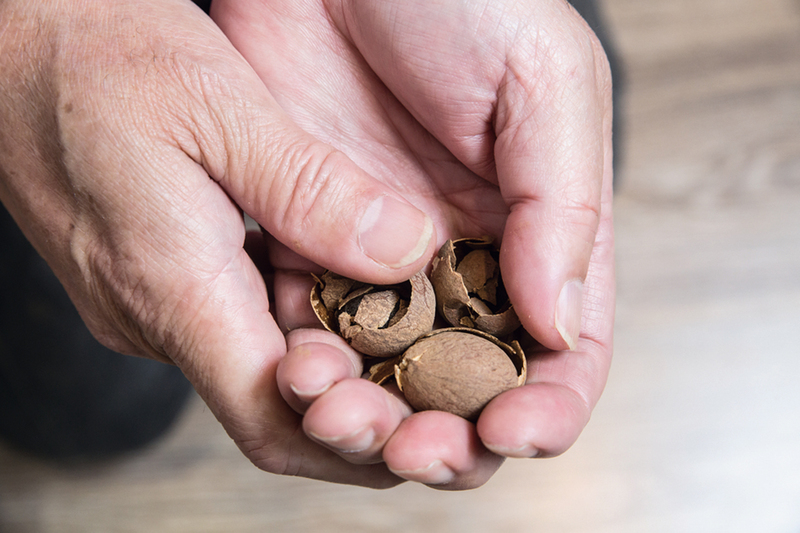 He holds dried longans in one hand, his fingers applying pressure to create a crackling sound: it’s the sound of a neck breaking in a martial arts film, and it can send a shiver down your spine. For a sword leaving its scabbard, Hu stares intently for the right moment and then rubs his hands against a clay tool he has made. He flaps around a piece of cloth to match the sounds of qing­gong masters—gravity-defying kung-fu fighters—scampering up walls and over rooftops. Relying on the simplest of devices, Hu can create sound effects that are very true to life. 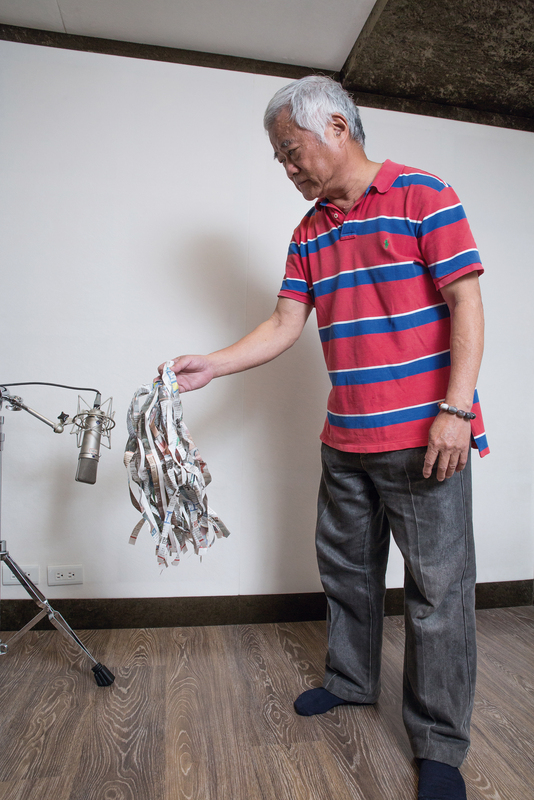 He is one of only a small number of such workers—known as “Foley artists”—in Taiwan. In 1975 Hu Ding-yi first came to the Central Motion Picture Corporation as a member of the third class of film technicians in training there. Immediately he was assigned to the sound department, where he apprenticed with experienced technicians, learning from them how to put audio tracks onto film, how to make sound recordings, how to screen films, and how to create sound effects. The masters pointed the way, but the students needed to hone their craft on their own. Hu spent six years learning the ropes before he took responsibility for handling the sound on a film himself. He can’t even remember what film it was, but he remembers the master standing alongside and giving him encouragement. Back then the sound was all added in postproduction, and the voice actors and sound technicians worked together on the same large sound stage. 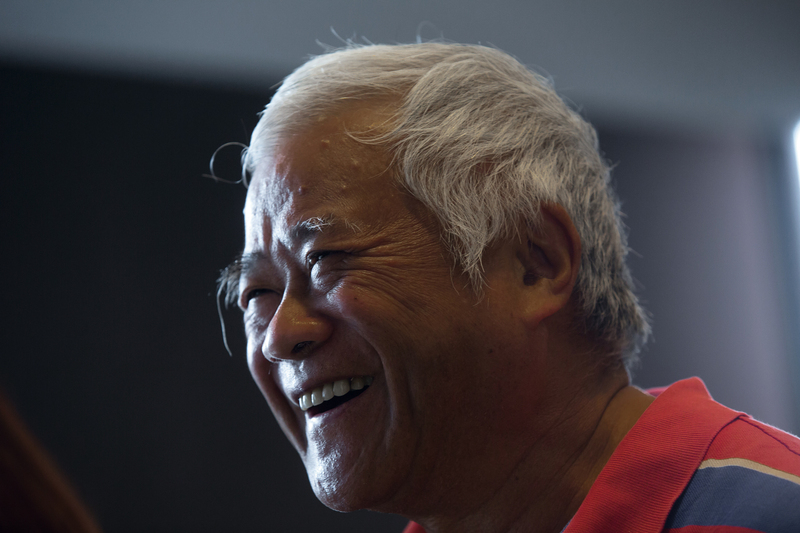 In those years, he worked on countless films, including several that won Golden Horse Awards for best sound, such as Strawman (1987), Banana Paradise (1989), and Green Green Leaves of Home (1993). When Central purchased Dolby recording equipment in 2001, finally bringing the studio into the digital sound era, older technicians found it difficult to overcome their unfamiliarity with the new technology. Consequently, Hu lost a lot of work as a sound technician and began to focus on jobs as a Foley artist. Back in the early days all sound in film was added in postproduction. Aiming to synchronize sounds to the exact pace of movements in a film, Jack Donovan Foley, starting in 1927, would recreate sounds in postproduction to accompany the film. That approach is still used today, and those who do that job are now known as Foley artists. 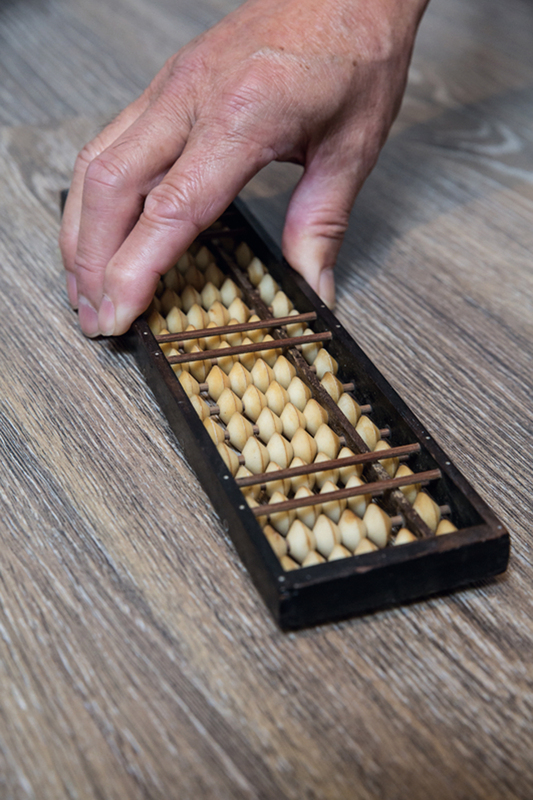 It’s not just imitation: the work can also involve re-creation. 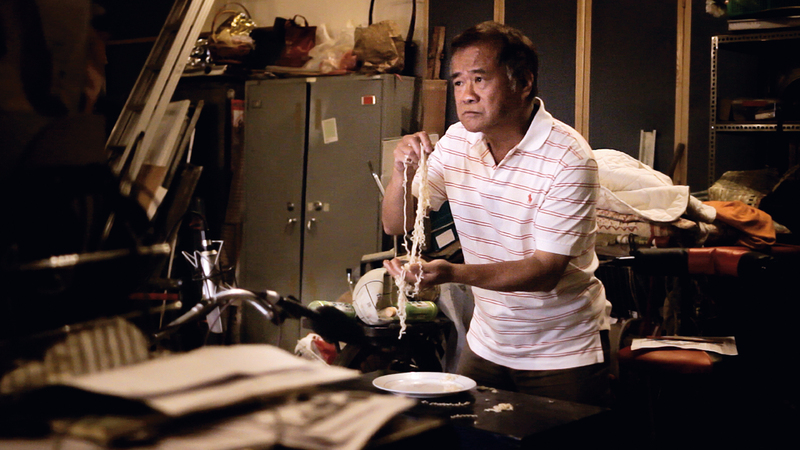 Wang Wan-jo recalls an anecdote about pig’s ears. One day, she was sitting at her desk at Central and saw a plateful of pig’s ears with a note on which Hu had written: “Left over from work, please enjoy.” They sparked Wang’s imagination: “I thought he might have been using them to make the sounds of children’s fingers being eaten for a film version of the Chinese fairy tale ‘Tiger Auntie.’” That made Hu laugh. “It was because the actors in the film ate pig’s ears, so the Foley artist had to eat pig’s ears too. Pig’s ears have cartilage in them, so the sound of eating them is different from the sound of eating meat.” It was a demonstration of just how precise a listener he is. 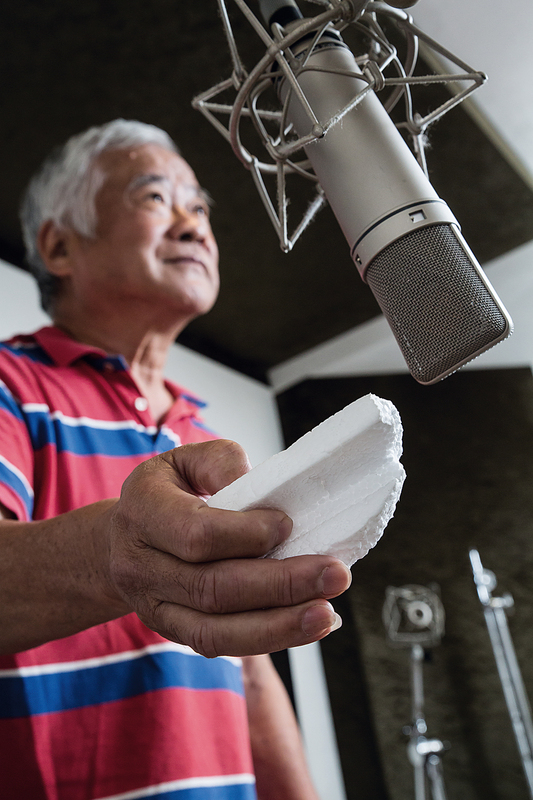 At the special screening of A Foley Artist, senior sound mixer Tsao Yuan-fong, who was once Hu’s apprentice, said: “Foley techniques are all artifice, so creativity is the most important skill to have in the profession. 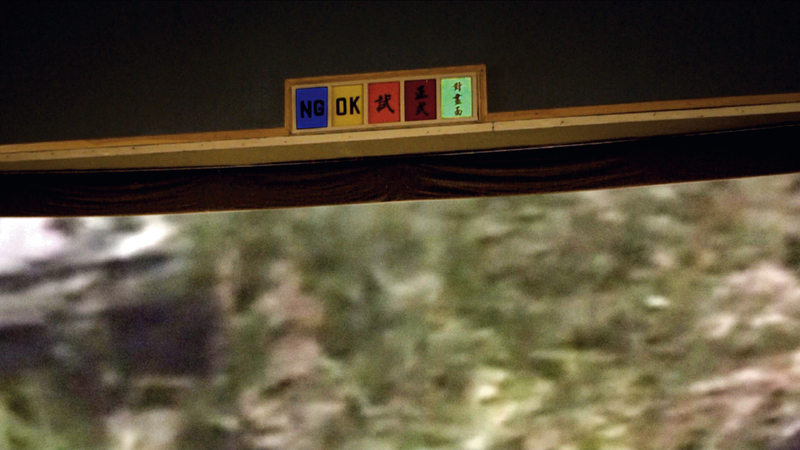 An important part of a Foley artist’s work is studying the quality of sounds.” He cited The Last Painting (2017), the Chen Hung-i film that kicked off this year’s Golden Horse Fantastic Film Festival. When the leading man pulled out the leading woman’s eyes, they relied on the Foley artist to produce convincing sounds that would enable audiences to suspend their disbelief. The Foley artist for The Last Painting was none other than Hu Ding-yi. After racking his brain about how to produce the needed sounds—a symphony of squishy viscous liquids, crushed bones, and torn muscles—he brought a fish head to the sound room to produce something quite true to life. 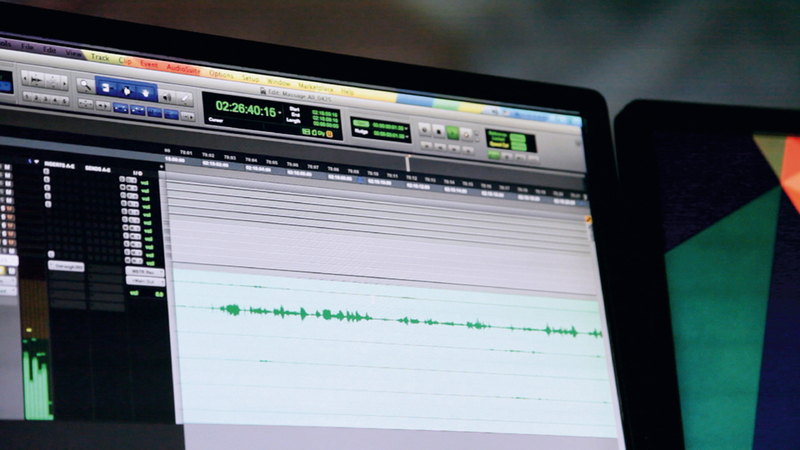 The work of a Foley artist goes on behind a curtain behind the curtain. 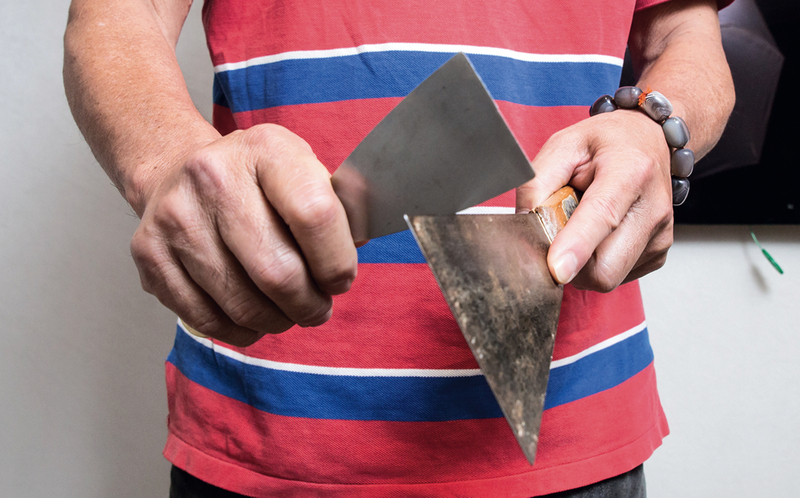 “Master Hu would be a top Foley artist in Hollywood too,” Tsao explains. 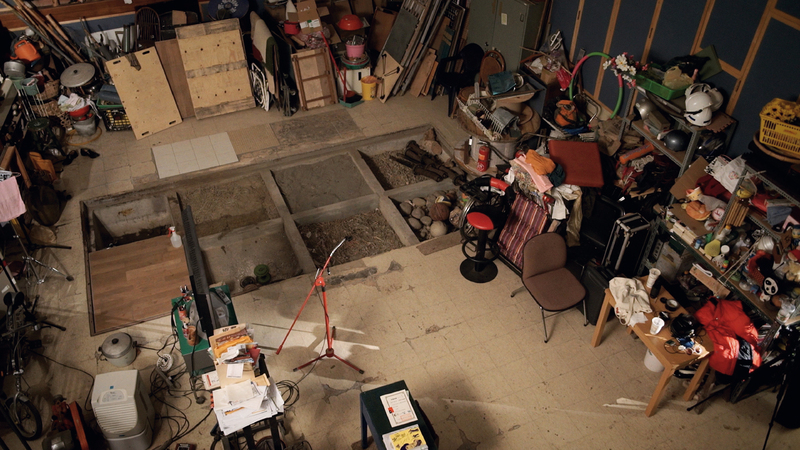 “It’s just that in Taiwan the profession isn’t a ­recognized field, so he can spend his whole life doing it and most people won’t know who he is.” Wang Wan-jo adds: “Even after visiting his studio, I was still mystified about how he did his work.” Consequently, she decided to shoot A Foley Artist. There is one scene in the documentary that includes an overhead shot of Hu’s studio at Central. A red microphone is set up in the middle of the room, and there are eight square “Foley pits” set into the floor that are used to capture the sounds generated by different surfaces, such as earth, sand, pebbles and pools of water. A great variety of objects are scattered here and there, including hula hoops, folding chairs, helmets, fire extinguishers, and X-ray film sheets. It is in this space that Hu has created countless sounds. There are several dozen pairs of high-heel shoes in his collection. In Tsai Ming-liang’s Vive L’Amour (1994), which won the Golden Lion at the Venice Film Festival, actress Yang Kuei-mei wore heels into the mud in Taipei’s Da’an Park. Hu captured the sound of that emotionally fraught walk one step at a time in this studio. Wang cites this example to demonstrate that Hu is an actor with sound. A Foley artist creates sounds for every scene in a film. 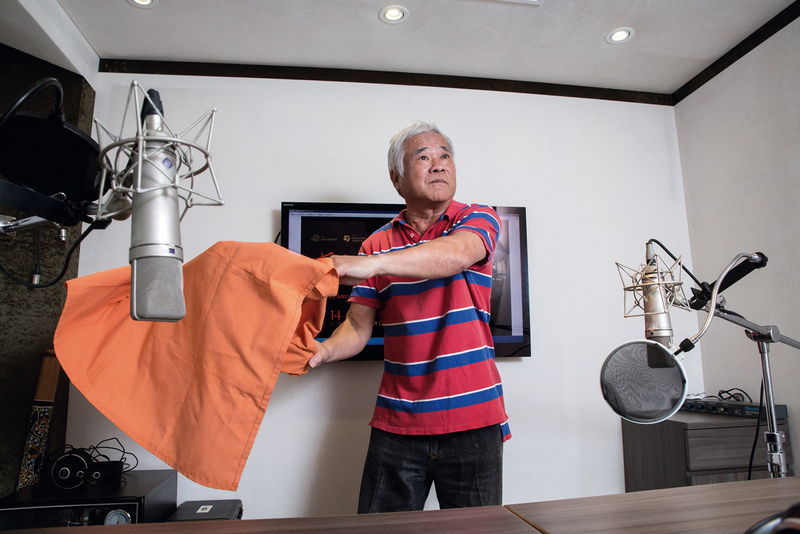 A Foley Artist takes as its starting point Hu’s story, and it includes interviews with senior voice actors and sound technicians in Taiwan’s film industry. It also explores the situation of audio production for films across the strait in Hong Kong, Shanghai and Beijing. The senior film critic Lan Tzu-wei describes A Foley Artist as partly a short history of Central Motion Picture and partly a short history of cinema sound. When A Foley Artist formally debuted in April, Hu was having to appear at four different promotional activities a day, and he was quite unused to standing in the spotlight. Much like how Foley artists participate in the film process with little fanfare, their names appearing only in the long credits at the end of a film, Hu has a low-key personality. 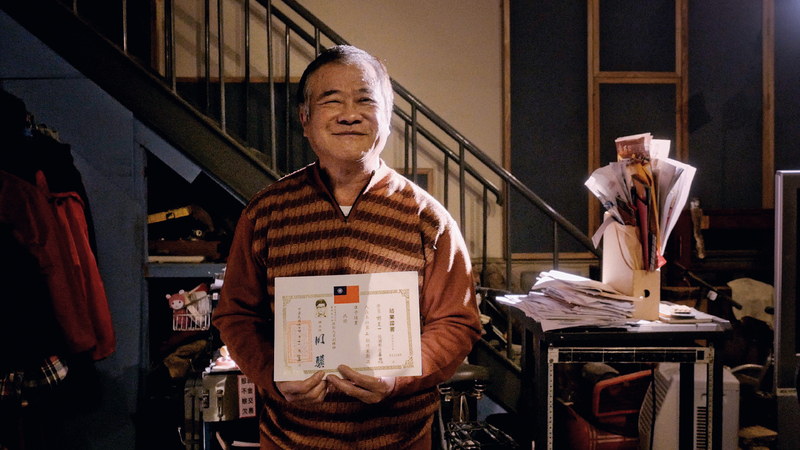 Not attracting the bright lights like a director or actor, he has nonetheless played his role of generating sounds brilliantly for 40 years, making his mark on the history of film in Taiwan.